Kendall Perkins-Brakels is a full-time, professional Australian artist with a refreshing attitude and distinctive art style. Constantly evolving her works, collectors await each new series as Kendall has always prided herself as "an innovator not an imitator," always throwing caution to the wind as she creates each new body of work. From humble beginnings and after being told at school that"no one makes money out of art," Kendall is managing to create a niche in the art world nationally as well as internationally, selling hundreds of paintings a year. 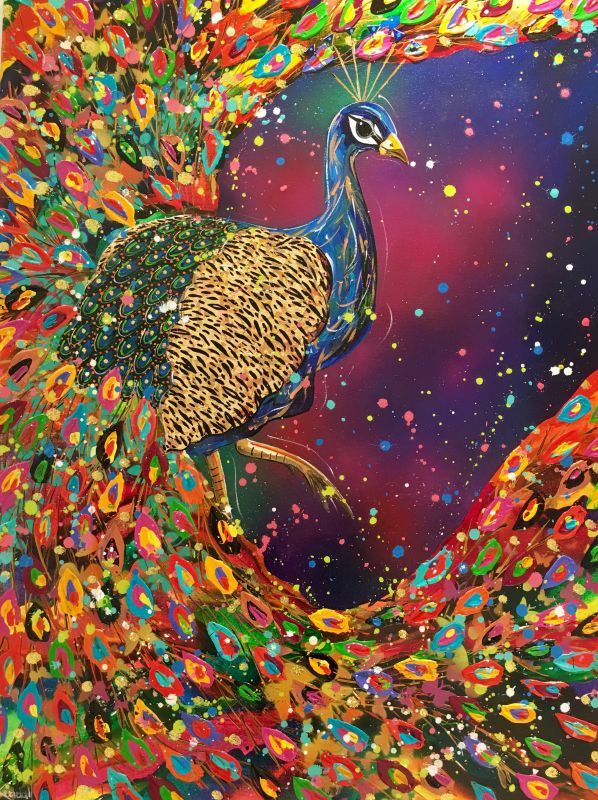 Kendall's paintings are housed in public and private collections worldwide and Kendall intends to spread her wings even further in the international scene. 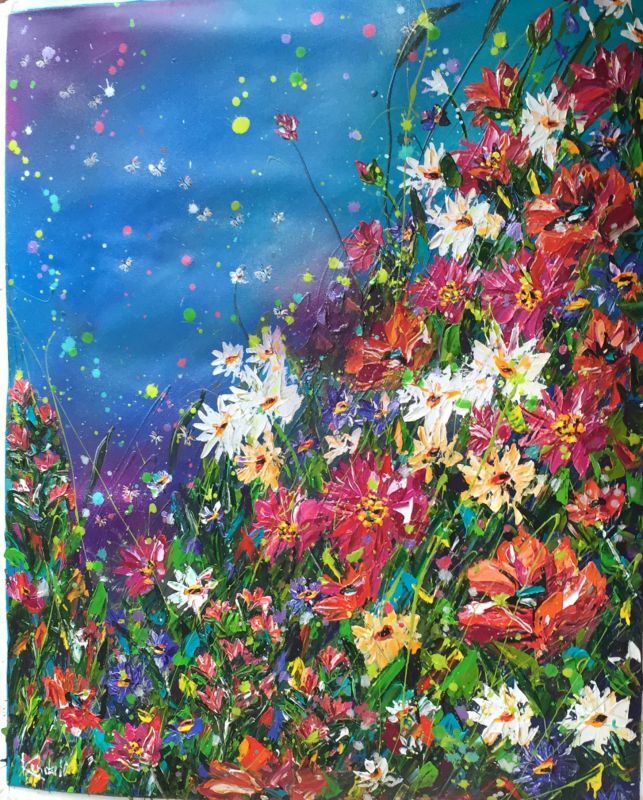 A progressive and aggressive artist that has exploded onto the Australian art scene in a blaze of colour and character, her works feature a diverse range of images from her vibrant signature flowers to major and complex cityscapes capturing chaos and control. Her art and business approach sit at the intersection of the culture and leisure industries and she is succeeding on her own terms. 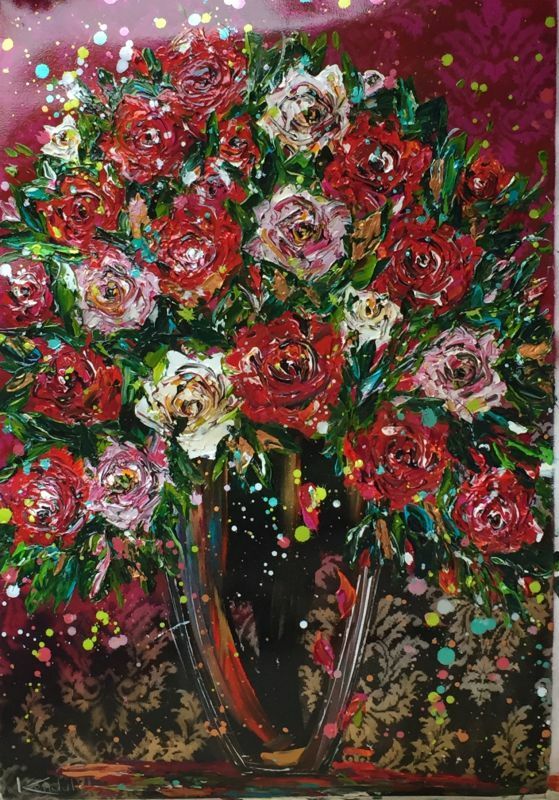 She has exhibited extensively, and, through hard work, business acumen and a wonderful product, has successfully carved out a niche for herself in the contemporary art market. Painting professionally for the past 17 years, Kendall travels the world exhibiting, having a long list of sell-out exhibitions, and painting "live on location" at several locations locally such as Tourism Australia, the Office of the Australian Consulate General etc., and internationally in South Korea, Hong Kong, Singapore, etc. Kendall entertains guests as she creates one of her masterpieces in a blaze of "colour and character" right before their eyes. Kendall's art is represented in public and private collections worldwide and has represented Australia in key Asian markets. Kendall was also given the official title of "Australia's Goodwill Ambassador" to Seoul, an honor bestowed on her by the AustralianHigh Commission. Striking viewers at first glance, her heavily-textured oils are a heady explosion celebrating the very essence of life. 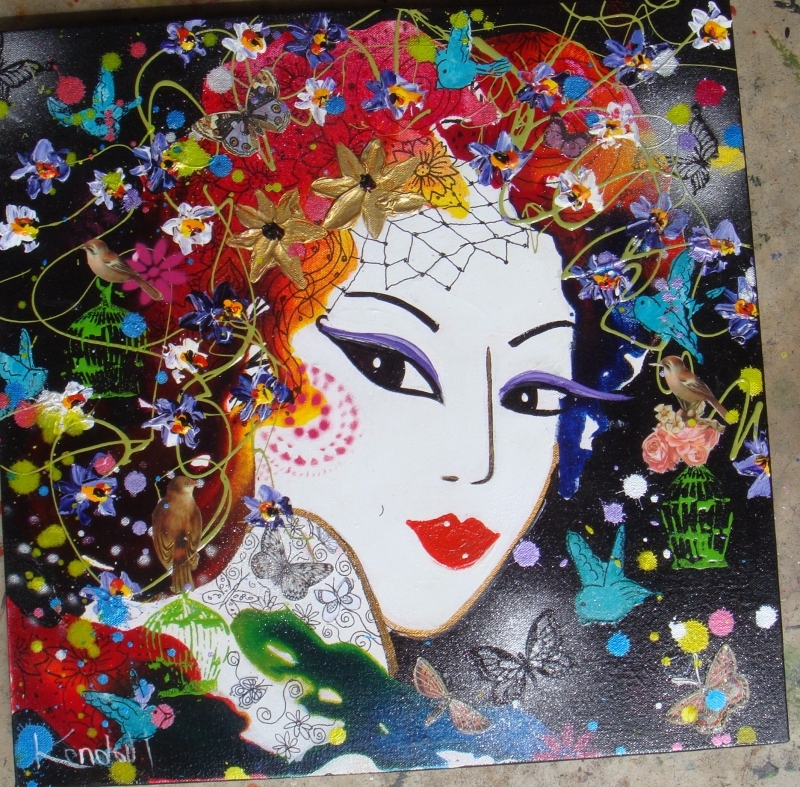 Employing a fast and furious technique, her works brim with colour, resulting in works that both exude and prompt emotion. 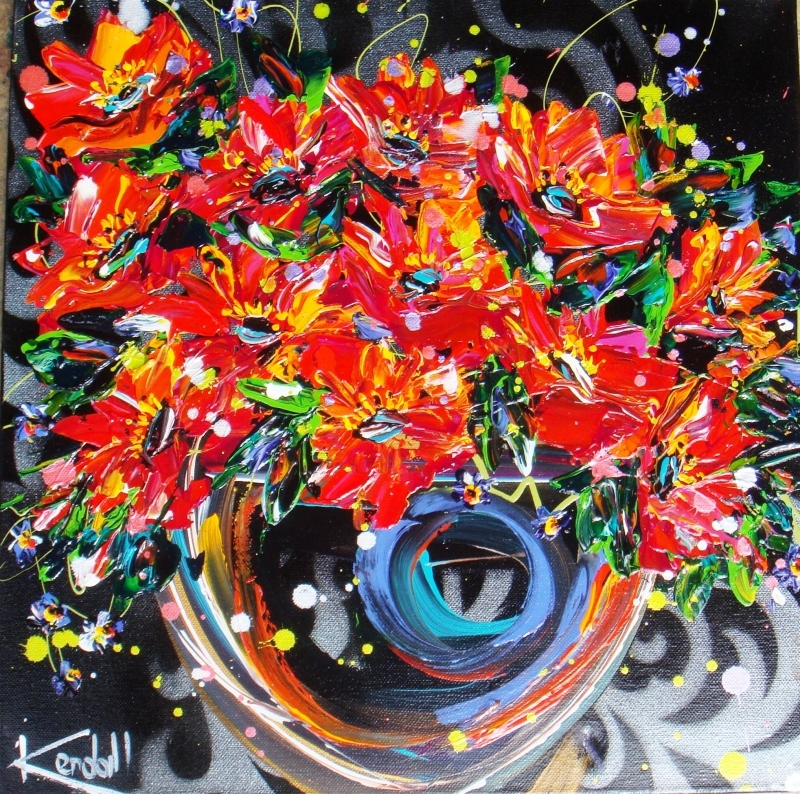 Kendall's energetic works throb with the vibrancy of Queensland and express a vivacious, highly individualistic style. Inspired by the natural and urban beauty that surrounds her, her works feature Australian motifs of marine living, native flora and fauna that instantly resonate with Australians and draw in other keen collectors. With her success in the art world, Kendall keeps her feet on the ground by continually helping out with charitable organisations such as the Smith Family, Princess Alexandra Hospital, Royal Women's Hospital Brisbane, Queensland Cancer Fund, Leukaemia Foundation, Cystic Fibrosis Foundation, Royal Children Hospital, Cerebral Palsy League, Abused Child Trust, Queensland Arts In Health, Salvation Army, St Vincent's Hospital,Toowoomba Base Hospital, St Vincent De Paul Society, to name just a few. Kendall believes that being able to paint is a gift, a gift that should be shared.